Professor Davis was born in Honolulu, Hawaii in 1964, three days after a devastating Alaskan earthquake triggered tsunami warnings across the Hawaiian Islands and beyond. She spent the majority of her childhood and young adulthood in the Upper Midwest—with intermediate stops on study abroad programs in Germany and India. From 1986-1989, Professor Davis worked as a flight attendant for Northwest Airlines. She finished her Ph.D. in U.S. History in 1998 and landed at the University of Texas that fall. Professor Davis is the author of The Gospel of Kindness: Animal Welfare and the Making of Modern America (Oxford University Press, 2016), the winner of the 2018 Presidents' Book Award from the Society for Historians of the Gilded Age and Progressive Era; and a 2017 Choice Outstanding Academic Title Award. Professor Davis is also the author of The Circus Age: Culture and Society under the American Big Top (University of North Carolina Press, 2002), the winner of a 2003 Choice Outstanding Academic Title Award; the Robert W. Hamilton Book Award; and a finalist for the George Freedley Memorial Award from the Theatre Library Association. Professor Davis is also the editor of Circus Queen and Tinker Bell: The Life of Tiny Kline (University of Illinois Press, 2008), by Tiny Kline. Professor Davis's current book project is a transnational cultural and environmental history of human/shark entanglements, tentatively titled, “’Jawsmania’: A History." She is also researching and writing a transnational history of American humane education, and a cultural biography of the Texas circus impresario, Mollie Bailey. Professor Davis works regularly as a consultant for museum exhibitions and documentary films, including American Experience on PBS and the Smithsonian’s 2017 American Folklife Festival. She has received fellowships from FLAS VI in Hindi, the National Endowment for the Humanities, the American Association of University Women, and the University of Texas at Austin. Professor Davis's article, "Cockfight Nationalism: Blood Sport and the Moral Politics of Empire and Nation Building," won the 2014 Constance M. Rourke Prize for the best article published in American Quarterly. Professor Davis is a member of the Academy of Distinguished Teachers. She is also the winner of the 2016 Regents’ Outstanding Teaching Award; the Dad’s Association Centennial Teaching Fellowship (2015-2016); the Silver Spurs Centennial Teaching Fellowship (2015); the President’s Associates Teaching Excellence Award (2004), as well as the Eyes of Texas Excellence Award (2000). She has developed a service learning initiative as a Provost Teaching Fellow (2015-2017), for her upper-division seminar, "Animals and American Culture." She is currently creating a Crucible Course on the circus for the Plan II Honors Program. Professor Davis teaches Introduction to American Studies, both halves of Main Currents in American Culture, and specialized seminars in U.S. social and cultural history; popular culture; animal studies; women’s and gender history; cultural approaches to U.S. foreign relations; and U.S. social movements. This is a required graduate seminar for first-year American Studies graduate students in the second semester of study. It is a survey of recent and classic interdisciplinary scholarship in the field of American cultural (and some social) history from the Civil War era to the present. This course will familiarize you with key “main” historiographical, methodological, and thematic currents in the field. My approach to cultural history is interdisciplinary, intersectional, environmental and transnational: in other words, I treat “culture” as a social, material, and labor process in which gender, race, and class are interconnected and symbiotic categories of analysis in transnational, environmental, and comparative frames. This graduate seminar will explore how people have collectively rallied for social change in the United States with a special focus on the post-World War II era to the present. Approaching the concept of “social movement” both topically and theoretically, we will consider how technology, popular culture, and broader economic and political factors have shaped the landscape of social change. We will also be mindful of the transnational context of various movements: the African American Civil Rights Movement, for example, had a profound influence on the formation of India’s Dalit Panthers—a social movement of Maharashtrian ex-Untouchables. Topics of examination will include feminism, labor, civil rights, the American Indian Movement, environmentalism, the United Farm Workers, Black Power, antiwar activism, the gay and lesbian movement, animal rights, the New Right, and antiglobalization. Throughout the course, we will link these movements to previous periods of activism in U.S. history, and will, furthermore, analyze how these movements shape each other. In 1682, the first American bestseller was published. Audiences in the American colonies and in England devoured Mary Rowlandsonʼs breathless account of her harrowing experiences as a captive of the Narragansett and Nipmunk Indians during King Philipʼs War in The Narrative of the Captivity and the Restoration of Mrs. Mary Rowlandson. Taking a long, historical view, this course explores the evolution of American popular culture and its relationship to national consolidation (and at times, disunion) over the last 330 years. Starting with oral, religious, print, and live performance traditions during the colonial, early national, and antebellum periods, this course will consider the cultural impact of new technologies such as steam power, the railroad, photography, recorded sound, celluloid, the electronic transmission of moving images (i.e. television), and the internet. Throughout the semester, we will stress the centrality of race, gender, and class in shaping the production and content of popular culture, modes of popular representation, the composition of popular audiences, types of reception, and the ways in which people have used pop cultural forms as a claim to citizenship. AMS 310 is an introductory course in American Studies—the interdisciplinary study of American culture and society. We will begin our journey by considering some of the critical transformations—both physical and ideological—that World War II brought to American society and culture. Filled with televisions, cars, suburbs, malls and chain stores, the landscape that we know so well today came of age during this period. Throughout the course, we will analyze how communities, broadly defined by differing variables like age, geography, gender, race, ethnicity, class and/or political persuasion, have wrestled with questions about identity, inclusion and exclusion in modern America. While the course will proceed chronologically, I have organized these topics around three separate themes: consumerism, youth culture, and multiculturalism. Final exam (cumulative, 3 hours long): 50 %. In addition to the graded assignments, regular attendance is expected. This interdisciplinary survey explores various cultural and social transformations in American society from the post-Civil War era to the present. Broadly construed, this course will examine the relationship between culture, technology, industrialization, urbanization, and American identity (using race, gender and class as ways to analyze America’s multicultural society) over the last century and a half. After a brief, introductory exploration of the enormous social, cultural and economic changes wrought by the Civil War—the bloodiest conflagration in American history—we will study the cultural landscape of a rapidly industrializing society in which roaring locomotives created a new sense of time and national identity . Our journey will take us from the completion of the Transcontinental Railroad to the moon landing and internet. Along the way, we will also consider the rise of the consumer society, the birth of mass culture, immigration, overseas expansion, modernism, feminism, regionalism, the new leisure culture, and the enduring mythology of the self-made man/woman. Our examination of American culture is interdisciplinary and broadly defined to include fine arts, sports, music, literature, popular culture, architecture, anthropology, social thought, the built environment and material culture. Ultimately, our goal is to investigate and evaluate how multiple Americans—from presidents to the dispossessed—have made sense of explosive social transformations through cultural forms. Class format: This is primarily a lecture course, but I will always leave some time available during each class for discussion. Requirements: Regular attendance, completion of all reading assignments, three in-class ID (short answer) exams, and two take-home essay exams, one of which will be cumulative. This course explores the central—if hitherto unrecognized—role that animals have played in shaping American history. This course is interdisciplinary, which means that we will use multiple methodological lenses throughout the semester. Topics of discussion include Native American animal cosmologies; wandering animals and concepts of property; animals in entertainment; hunting; vegetarianism; changing cultural attitudes about nature; animals and evolutionary theory; the rise of the animal welfare and animal rights movements; laboring animals and the nation’s move to a motorized economy; animals and war; the growth of pet keeping as a cultural practice and billion-dollar business today; factory farms; the rise of veterinary science; zoos; and more. We will explore Waller Creek, the Turtle Pond, and the Harry Ransom Center, among other rich campus environments and world-class library facilities at UT-Austin to enhance our examination of animals and the cultural life and history of the United States. Mandatory class attendance, attendance of University Lecture Series, completion of all reading and writing assignments, and in-class presentations. Each student will write 5 sets of study questions that address the reading and classroom material—students will be expected to integrate material from the University Lecture Series into select study questions assignments; On 2 separate class dates during the semester, students will give a 10-minute historical presentation on any American animal of h/her choosing. (Students must choose a different animal for each presentation.) Students will write a 5-page analytic essay on a topic of one’s choosing related to the history of American animals. Students will receive completion credit for the first draft of this essay, and then will receive a letter grade for the revised version. Lastly, students will write a 7-10 page take-home essay examination that will analyze the readings and select lecture/field trip/University Lecture material into a synthetic interpretation of animals and American history. Janet Davis is finishing a social and cultural history of the American animal welfare movement from 1866-1930, paying special attention to ideologies of American exceptionalism, cultural pluralism, and Protestant reform in shaping the movement in the United States and abroad. She has taught courses on multiple subjects at UT, including American studies, history, and popular culture. In 1682, the first American bestseller was published. Audiences in the American colonies and in England devoured Mary Rowlandson’s breathless account of her harrowing experiences as a captive of the Narragansett and Nipmunk Indians during King Philip’s War in The Narrative of the Captivity and the Restoration of Mrs. Mary Rowlandson. Taking a long, historical view, this course explores the evolution of American popular culture and its relationship to national consolidation (and at times, disunion) over the last 330 years. Starting with oral, religious, print, and live performance traditions during the colonial, early national, and antebellum periods, this course will consider the cultural impact of new technologies such as steam power, the railroad, photography, recorded sound, celluloid, the electronic transmission of moving images (i.e. television), and the internet. Throughout the semester, we will stress the centrality of race, gender, and class in shaping the production and content of popular culture, modes of popular representation, the composition of popular audiences, and types of reception. Upper-division standing required. Partially fulfills legislative requirement in American History. Students may not enroll in more than two AMS 370 courses in one semester. Final take-home exam: 50 %. Janet Davis is currently finishing a social and cultural history of the American animal welfare movement from 1866-1930, paying special attention to ideologies of American exceptionalism, cultural pluralism, and Protestant reform in shaping the movement in the United States and abroad. She has taught courses on multiple subjects at UT, including American studies, history, popular culture, animal studies, both halves of the cultural history survey, twentieth-century social movements, and women’s and gender studies. This course partially fulfills the Legislative Requirement in American History and is also a writing component course. Course Scope: A wandering pig played a central role in creating a bicameral legislature in the Massachusetts Bay Colony in 1644. According to John Winthrop, the colony’s first governor, “There fell out a great business upon a very small occasion”: a poor widow and a wealthy merchant went to the General Court regarding the disputed ownership of a stray sow. Although popular sympathies rested with the widow, the Court ruled in favor of the merchant, thus prompting the Court’s assistants and deputies to divide formally into two distinct legislative houses in order to make the colony’s government more representative. This is but one example of the central—if hitherto unrecognized—role that animals have played in shaping the course of American history. This interdisciplinary upper-division undergraduate seminar explores the place of animals in the social, cultural, economic, and political life of the United States. Topics of discussion include animals in entertainment; hunting; vegetarianism; changing cultural attitudes about nature; wandering animals and property rights; animals and evolutionary theory; the rise of the animal welfare and animal rights movements; laboring animals and the nation’s move to a motorized economy; animals and war; the growth of pet keeping as a cultural practice and big business; factory farms; the rise of veterinary science; zoos; and more. Course requirements: Mandatory class attendance and completion of all reading and writing assignments. Each student will serve as a discussion leader for one class; each student will also write weekly response papers and/or study questions; each student will prepare a class presentation based upon h/her research work, and will submit a final research paper of ten-fifteen pages in length on a topic relating to the course material of his or her choosing. This course explores the central—if hitherto unrecognized—role that animals have played in shaping American history. This course is interdisciplinary, which means that we will use multiple methodological lenses throughout the semester. Topics of discussion include Native American animal cosmologies; wandering animals and concepts of property; animals in entertainment; hunting; vegetarianism; changing cultural attitudes about nature; animals and evolutionary theory; the rise of the animal welfare and animal rights movements; laboring animals and the nation’s move to a motorized economy; animals and war; the growth of pet keeping as a cultural practice and billion-dollar business today; factory farms; the rise of veterinary science; zoos; and more. We will use the rich environmental resources and world-class library facilities at UT-Austin to enhance our examination of animals and the cultural life and history of the United States. Mandatory class attendance, attendance of University Lecture Series, and completion of all reading and writing assignments. Each student will serve as a discussion leader for one class; each student will write 6 weekly review essays and/or study questions (at least half of these papers will be essays) that will be shared with the whole class in advance of each meeting—students will be expected to integrate material from the University Lecture Series into select review essay/study questions assignments; each student will prepare a ten-minute class presentation based upon h/her research work, and will submit a final research paper of ten-fifteen pages in length on a topic relating to the course material of his or her choosing. Prior to final submission, students will critique each other’s drafts and will have an opportunity to revise their papers based upon suggestions from peers and from me. 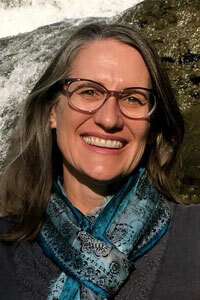 Janet Davis is currently working on a social and cultural history of the animal welfare movement from 1866-1930, paying special attention to the place of evangelical Christians and radical humanists in the United States and abroad. She has taught courses on multiple subjects at UT, including American Studies, popular culture, nineteenth and twentieth-century cultural and social history, Women's Studies, and modern South Asia. This course fulfills a Writing Flag and the Cultural Diversity in the United States Flag. Individual project or paper to be completed under the direction of a women's and gender studies faculty member. Written consent of the supervising faculty member required, consent forms available in the Center for Women's and Gender Studies for that purpose. The Gospel of Kindenss: Animal Welfare and the Making of Modern America (Oxford University Press, April 2016). Editor, Circus Queen and Tinker Bell: The Memoir of Tiny Kline, by Tiny Kline (University of Illinois Press, June 2008). The Circus Age: Culture and Society under the American Big Top (University of North Carolina Press, September 2002).